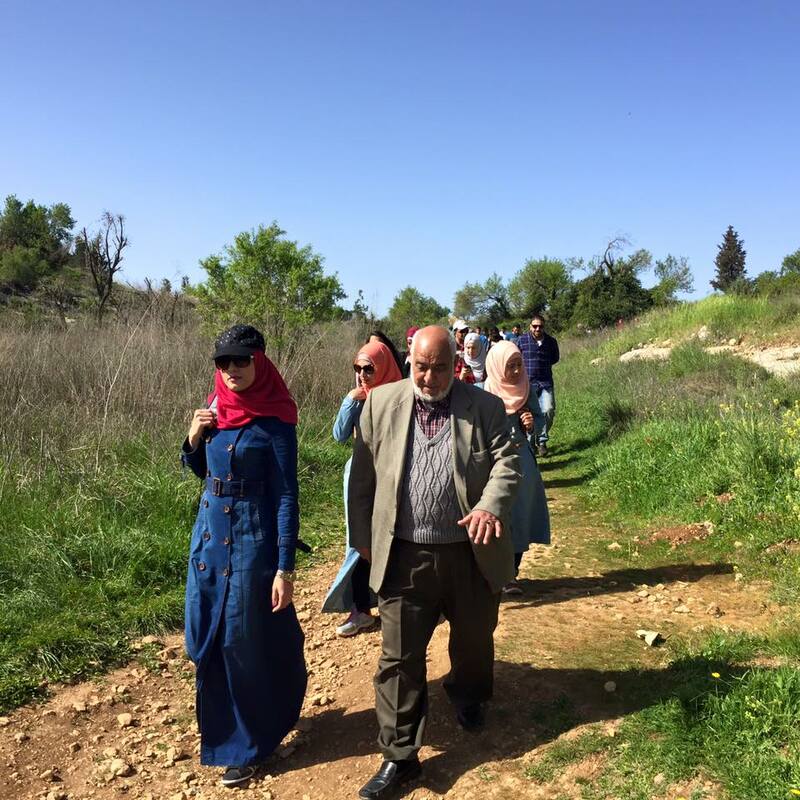 For the Palestinian Identity Reinforcement and for Arabism Lands Confirmation Burj Al-Luqluq Social Center Organizes the Jerusalemite Role Model Program ‘ The Guards of History’ Which Starts from Qalunya Village. Burj Al-Luqluq Social Center Society organized the first tour for the participants of the Jerusalemite Role Model Program ‘ the guards of history’ within Live the Burj project, financed by the Arabic Development Fund, through the Islamic Bank and under the supervision of the Welfare Association. The program aimed to reinforce the Palestinian identity of Jerusalemite youth by meeting and listening from people who lived the Nakba phase by sharing their memories and stories about the reality of the war to these young Jerusalemite kids. The tour started with participants number of 45 Jerusalemite youth to the depopulated Qalunya village, hosting Mohammad Sliman Al-Khatib who went with the participants and presented a short presentation on Al-Nakba Story, on how they was depopulated from the village and on how was the life before and after the Nakba phase. The tour involved visiting Farhan fountain, Qalunya village and the tombs in Qalunya Cemetery in which there are three tombs appearing in front of people who pass the village.